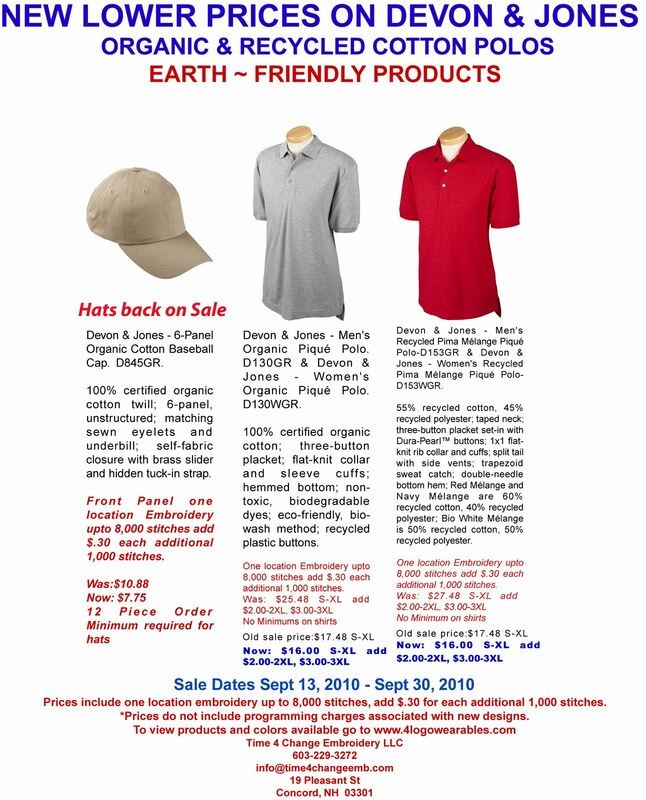 The Devon & Jones Organic Polo’s styles Men’s D130GR, Women's D130WGR and Men's Recycled Pima Mélange Piqué Polo D153GR, Women’s D135WGR are back on sale at even lower prices. 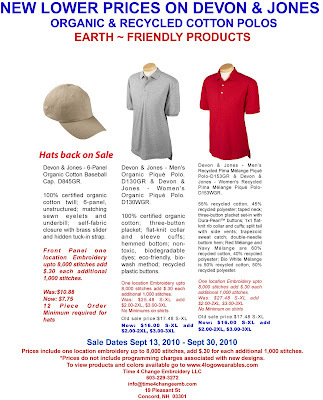 Save an additional $1.48 per shirt on orders placed between now and Sept 30, 2010. Also back on sale are the popular Devon & Jones - 6-Panel Organic Cotton Baseball Cap style D845GR. Great time to take advantage of additional savings on great product. Call, e-mail (info@time4changeemb.com) or stop on by if you have any question.